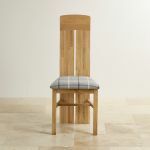 The Lily Natural Solid Oak & Check Granite Fabric Dining Chair is a combination of the very best. 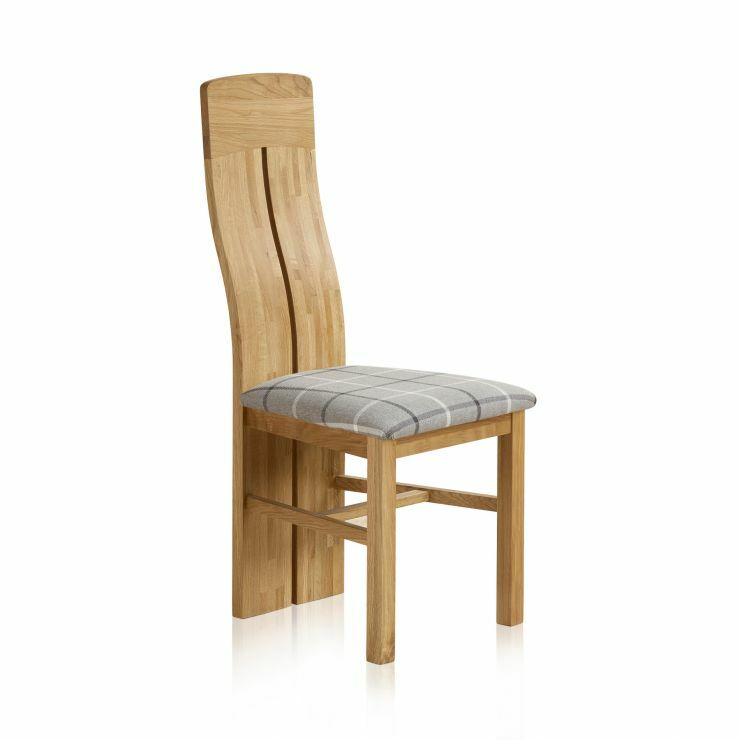 Its curved back arch supports your spine, whilst adding a modern twist at the same time. The subtle slat detail allows light to peer through, adding a new dimension to the contemporary curvature. The flared seat design provides maximum comfort and supports the backs of your legs. Multiple seat colours are available, providing that your chair will be at home in any setting. 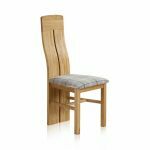 The wood itself comes from the best quality oak and is held together with exquisite dovetail joints – only the best for our customers. 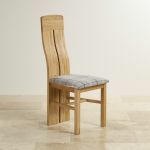 Take a look at our Dining Set Builder to match the perfect table and chair set.